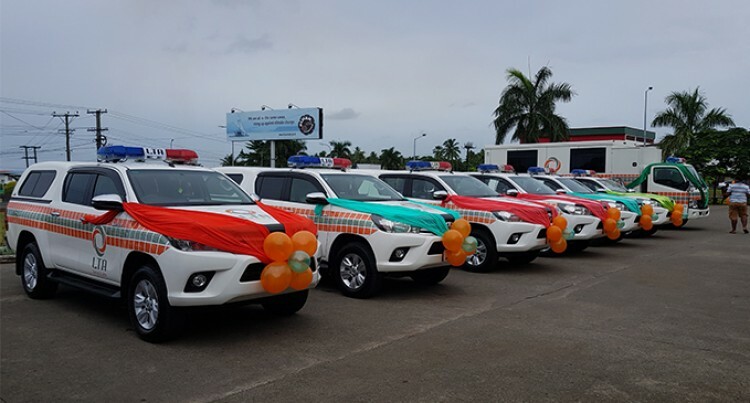 The Land Transport Authority (LTA) has spent approximately $690,000 to purchase eight new vehicles dedicated to enforcement operations. This was revealed by the Minister for Local Government, Housing, Environment, Infrastructure and Transport, Parveen Bala during the launch of LTA projects for the year 2018 at the LTA headquarters in Valelevu, Nasinu, yesterday. The eight vehicles are dedicated to enforcement operations throughout the country. Mr Bala said LTA was blessed to have robust and flexible enforcement and engineering teams which have an exceptional working relationship between individuals who have facilitated completion of a few projects. “We all know the importance of mobility in any operation and with the exponential increase in the general vehicle population, more resources for mobility is always necessary.,’’ Mr Bala said. He said the LTA was committed to regulate and enforce land transport related rules and regulations and in doing so, the LTA required resources, including equipment and manpower. “Mobility matters to carry out successful operations,’’ Mr Bala said. “Although the LTA is carrying out pro-active road safety and educational operations, reactive measures such as roadside enforcement is of paramount importance to ensure that road safety is given maximum priority.” Mr Bala said.